Applications for portrait retouching on the Mac are often complex and quite expensive. Apps that perform similar functions in iOS are less expensive (or free) but usually aren’t as capable. 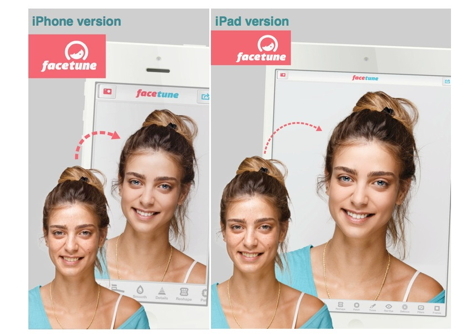 A new competitor, Facetune, is now available for the iPhone and for the iPad. Retouching by touch doesn’t seem as if it would be sufficiently accurate but with Facetune, you’ll be surprised. The results are quite good. 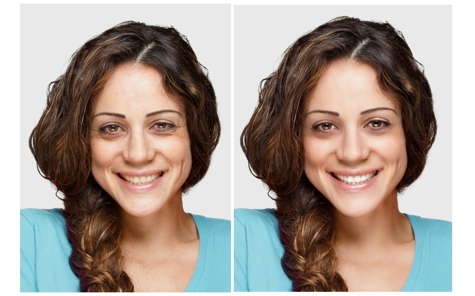 Facetune incorporates a wide range of tools. Each has adjustable brush sizes and intensities. A few of the tools are familiar: blemish removal, redeye reduction, and teeth whitening. Some of the other tools are effective when used for skin smoothing, detail emphasizing, make-up application, patching, and toning. Each tool has guides and a video tutorial to help you understand its uses. Facetune includes a Defocus tool allowing the user to emphasize the subject while throwing the background areas out of focus. There are a number of filters that can be applied to the finished portrait and dozens of frames for presenting your finished masterpieces. There is a tool for structural reshaping: cheekbone raising, jowl reduction, smile widening, etc. I tend to prefer “natural” retouching such as a little smoothing or tooth whitening. Altering a subject’s whole facial structure seems wrong to me, but with Facetune, it can be done. The key to retouching on a small screen is the ability to pinch, zoom and pan effectively. Facetune does this very well. Once you zoom in close to an eye, for example, it’s quite easy to brighten the whites and accentuate the highlight. I’m impressed with Facetune. It’s a pity that you have to buy separate iPhone and iPad versions, but I assume each requires different tool layouts because the screen proportions differ. Since iDevice cameras are fast replacing the usual point and shooters, it makes sense to have a good portrait enhancement app in your iArsenal.